While kids are mostly inquisitive, they also give the simplest and smartest answers to any question. I wonder what a kid would tell me if I ask him/her if I made the right decision about my career. I actually wanted to post this question to Diego. Remember Diego from Ask Diego? He is an adorable and cute kid who instantly become a Facebook celebrity. Who wouldn't get hooked with his witty, honest and thoughtful insights and answers to the questions that his followers posted on the Facebook Fanpage? He is so adorable that probably most of us want him for a kid, or a brother. I will seriously ask for a picture with him when I get the chance to meet him. I was surprised to see him and his family on a TV Commercial for PLDT. The Ledesma Family is like a typical family - everyone has a gadget and seems busy with their own thing. The good news is they are still connected through PLDT HOME DSL. 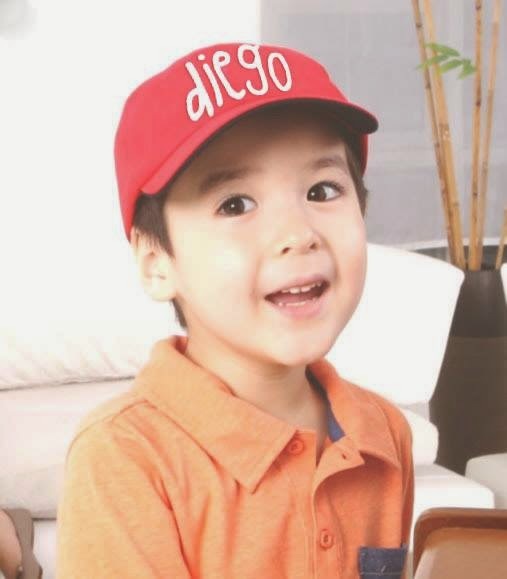 I am not surprised at how quick and timely Diego can answer all the questions in Facebook - and at the same rate, his mom and dad can monitor the page. PLDT HOME DSL provides limitless sharing with the strong reliable family-sized connection. I never realized I could use family-size to describe a connection, but that exactly describes the kind of strong connection PLDT HOME DSL provides. Click Read More to know more about Ask Diego..
We, at home, use PLDT HOME DSL, and I usually got my 3 gadgets (notebook, iPad and mobile) simultaneously connected - plus, at times, when my brother and sister are in Manila, they also share the connection and PLDT HOME DSL never failed us. EVER. So it is always easy to get likes and comments on my posts instantly from my family within minutes I posted an update. Now that explains why Diego's mom and dad let him do his thing in the Ask Diego fanpage, as even if they are busy, they are virtually connected.